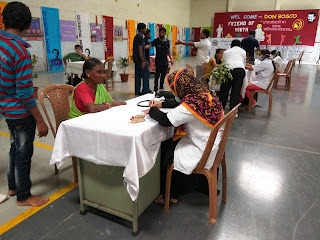 Pune (Chinchwad), 16-August-2017: The Don Bosco Development Society (DBDS), Chinchwad organized a “Free Health Check-up Camp” for youth residing in the slums of Chinchwad. About 117 youngsters and a few women benefited from this free camp, held under the aegis of ‘Women Empowerment Project’ supported by AXA Business Service, Pune. 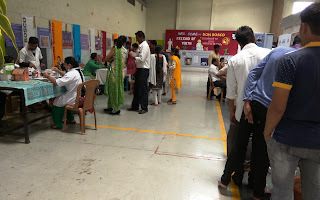 The camp was held in the premises of Don Bosco, Chinchwad. It was organized in association with Aundh Hospital, Pune. 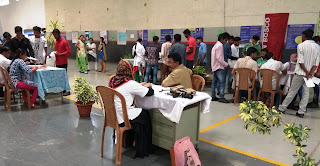 Dr. Suraj Gaikwad, Dr. Neeta Milgeer, Dr. Vinayak Deshpande along with 4 junior doctors, 3 interns and 2 medical social worker examined the people during this health camp. All the beneficiaries availed the services of Dermatologist, Gynecologist, Pediatrician and a General Physician. No major ailments or diseases were reported by the medical team. 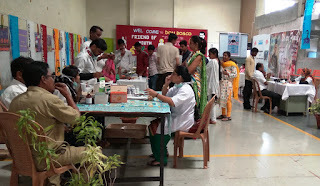 Sick people were given free medicines and some patients were referred to Aundh hospital for further examination.